On June 7, 2014 the City of Raleigh Museum is featuring the Mint Julep Jazz Band at an event honoring Raleigh’s World War II veterans, with the launch of an exhibit called “Our War: Voices of Raleigh’s World War 2 Veterans” and and a 1940’s themed fundraiser event. The event, which coincides with the 70th Anniversary of D-Day on June 6, will highlight the new exhibit and feature swing dancing, European and Pacific theater-themed food and drinks, live and silent auctions, and costumed cigarette girls. Time Warp 2014 tickets are $60 for museum members and $70 for non-members (which include a museum membership — a $35 value). 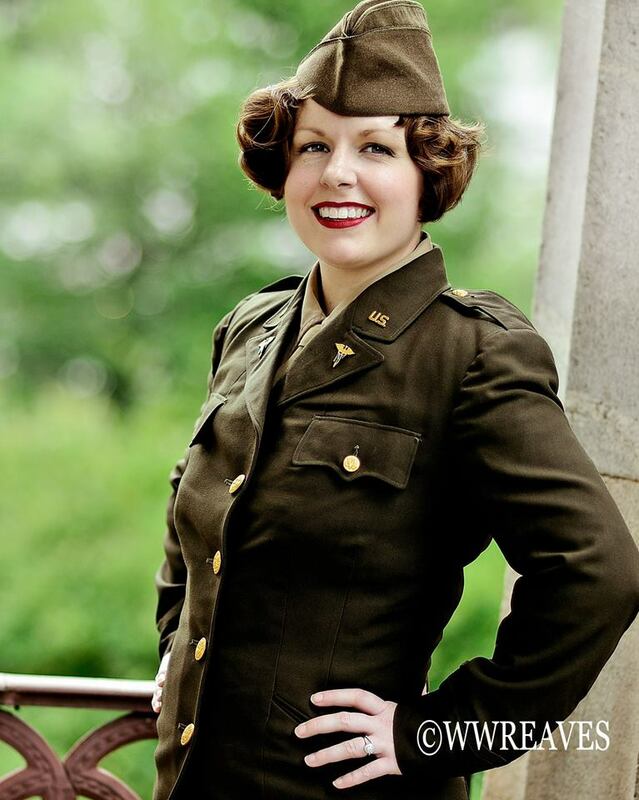 Our vocalist, Laura Windley, will be wearing the uniform of World War II Army Nurse Corps First Lieutenant Martha Way, who served in the 97th Evacuation Hospital Unit with her husband, Dr. John Way. First Lieutenant Way’s unit landed in Normandy, France just 11 days after D-Day and joined the field hospital there to provide care to wounded soldiers. Her unit then went on to sites in Belgium and Germany, directly supporting First US Army troops fighting in the Ardennes (Battle of the Bulge) and was one of the first units to assist the survivors of the Nazi concentration camps. The 97th Evacuation Hospital Unit served thousands of wounded soldiers and displaced persons until the unit was inactivated on November 23, 1945. Martha Way returned to Beaufort, North Carolina with her husband following the war. Laura is friends with the Way family and thanks to the family for allowing her to wear Martha Way’s uniform on this special occasion. 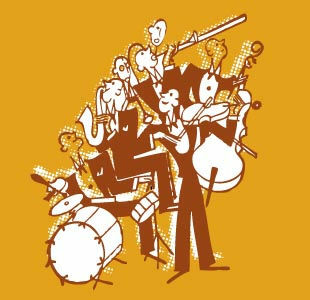 We are excited to announce that we will be live streaming the Mint Julep Jazz Band show this Thursday, February 23, 2012, through our Ustream channel. Tune in from 9:00 p.m. to 12:00 a.m. to catch our debut performance! It’s easy to do – simply click on this link – http://www.ustream.tv/channel/mint-julep-jazz-band – and watch the show from the comfort of your own home. We’ll be broadcasting the show via Laura’s iPhone. Technology is amazing! This live stream of the show is the special request of our friend Elizabeth Tietgen, who has been very ill and in the ICU for the past two weeks. She is overcoming almost insurmountable odds to recover and is making great strides, but is not well enough to attend the show. She asked that we do the live stream so that she wouldn’t miss our first performance, and it was such a great idea that we thought we’d open the live stream up for everyone to see! Elizabeth is the founder and organizer of the Triangle Tap Project, the Triangle chapter of “a nationwide campaign by the US fund for UNICEF to raise funds to provide clean water and sanitation in developing countries.” We would encourage everyone who attends the show or tunes in via Ustream to donate to this cause that is near and dear to Elizabeth’s heart. You can make a donation to the Triangle Tap Project fundraiser via the Triangle Tap Project website.